1. Benefits: 25-50% discount on 200 attractions, unlimited travel on public transport, discounts on restaurants, free city map and guide. The Welcome Card+: Museum Island also gives you free entry to the five museums on Museum Island for three days. 2. Attractions applicable: Includes the DDR Museum and Jewish Museum . Museum Island: Alte Nationalgalerie, Altes Museum, Bode Museum, Neues Museum and Pergamon Museum . 3. Transport Benefits: Unlimited travel on public transport (metro, tram, bus and train), as well as 25-50% discount on 200 attractions. 4.Restaurants Benefits: 25-35% discount on 28 restaurants, free city map and guide, as well as free public transport and discounts on 200 attractions. 5. Restaurants applicable: Includes Aapka Indian Restaurant, Berliner Republik, Hofbräu Berlin. 6. Card price and validity: €18.50-40.50, for 24 hours, 48 hours or 5 days. Time starts from when the ticket is first validated. 24 hour time period applies for the 24 and 48 hour cards; validity of the 5 day card ends on midnight of the fifth day. 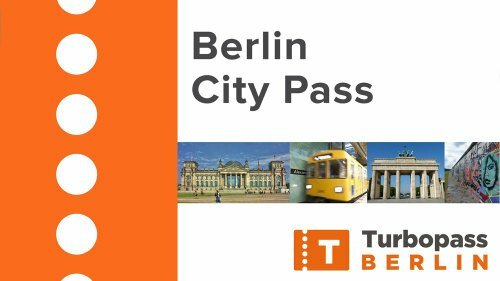 Unbiased comparison of Berlin's tourist Passes (BERLIN MUSEUM PASS VS WELCOME CARD VS BERLIN PASS VS GET2CARD) based extensive research, Tripindicator team came up with comprehensive recommendations which helps you choosing Best Berlin Tourist Pass suitable for your travel. 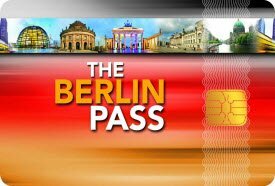 It is worth to check Comparison of Berlin Pass vs Welcome card suitable for you. 2. Attractions applicable: Includes the Pergamon Museum , Berlin History Museum , and Humboldt Box. 3. Travel Benefits: Travelcard included for zones ABC (Berlin and greater Berlin area) on metro, bus, tram and train as well as entry to over 55 museums and attractions. 4. Card price and validity: €74 (2 day adult pass), €34 (2 day child pass), €89 (3 day adult pass), €39 (3 day child pass). Child passes apply to 6-14-year-olds. Activated on first use, using calendar days rather than 24 hour periods (so a 3 day pass activated on Monday morning would expire at the end of Wednesday). 1. Attractions Benefits: Discounts of 15% or more on 50 attractions, theatre shows, clubs, tours, and restaurants and unlimited travel on public transport (tram, bus, metro and train). Free city map. 2. Attractions applicable: DDR Museum , Jewish Museum, Stasi Museum, Alternative Tour of Berlin , Madame Tussauds, Berlin Dungeon and many more. 3. Transport Benefits: Unlimited travel on public transport (tram, bus, metro and train), free city map, as well as discounts on many attractions, tours and restaurants. 4. Restaurants Benefits: Discounts of 15-25% or more on 6 restaurants as well as 50 attractions and unlimited travel on public transport (tram, bus, metro and train). Free city map. 5. Restaurants applicable: Aapka Indian Restaurant, Meena Kumari, NoctiVagus, Posh Australian Bar, Que Pasa, Restaurant Asin. 6. Card price and validity: €16.90-35.90, for 24 hours, 48 hours or 5 days and covering either Zones AB (Central Berlin) or Zones ABC (including Greater Berlin area). Time starts from when the ticket is first validated. 24 hour time period applies for the 24 and 48 hour cards; validity of the 5 day card ends on midnight of the fifth day.